Volvo Group advises dealers and customers to check onsite bulk storage. 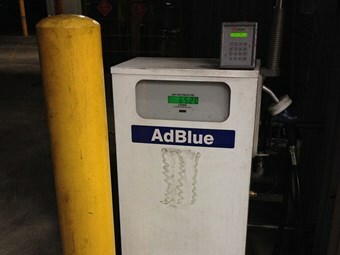 AdBlue is the most recognised form of diesel exhaust fluid. Volvo Group Australia has recently issued an advisory to its dealers about possible AdBlue contamination. It’s a trademark of the German Association of the Automotive Industry. "It has been brought to our attention that there could be contaminated AdBlue entering the market," Volvo says. "Out of specification or non-certified product is not covered by warranty. "The vehicle urea dosing system should not be compromised due to contamination, as it could have an adverse effect, not only on vehicle performance, but (it) could violate current emission standards. "We advise all dealers to check their own supply, as well as to contact their customers and ask them to visually check onsite bulk storage of this product. "If there is white or cloudy sediment at the base of the tank we advise to immediately cease use of the product." Keep your eye out, there may be some dodgy AdBlue in the marketplace.